The Global Spirit Movement (GSM) is the name used by those directly associated with the Institute of Cultural Affairs (ICA), Ecumenical Institute (EI) and the Order Ecumenical (OE) in its three social change foci of Contextual Re-education, Structural Reformulation, and Spiritual Re-motivation. The GSM always saw itself as part of a much larger body that grasped the meaning of the 20th Century change dynamics as having its roots in the foundational need for rebalancing of societal imbalances in the social Cultural Process – the education revolution, the urban revolution and the secular revolution. Operating with the understanding that one of the underlying emerging realities is that all society is now global in scope, it worked to create signs of renewal in local communities, local churches and social structures in all parts of the world in which it could operate. It saw that the key factor was the emergence of a new consciousness that would enable the emergence of transformed social structures, thus the term Spirit. (http://en.wikipedia.org/wiki/Social_movement) it was distinct in its philosophy of change, its stance or identity, and its form/polity. Its philosophy was based on the insight that change comes from addressing contradictions, not problems/issues. Its stance/identity was that of being a part of the Trans-establishment, i.e., neither in the camp of those who are responsible for the continuation of society (the pro-establishment) or those who work for change in opposition to society’s structures (the dis-establishment), but a willingness to work in both, but on-behalf of all and the future. 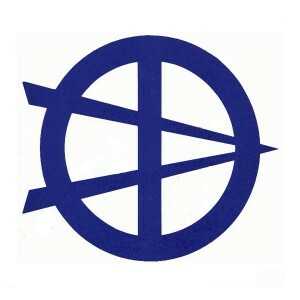 This can be seen visually in the symbol it adopted. (insert the symbol). Its form was to have full-time staff in local offices, operating with common missional thrusts, but with full local autonomy and large numbers of volunteers who understood the mission as well and operated with common methods to implement changes tailored to their unique local situations. Yearly global assemblies did collective research and decided priorities, quarterly regional/national Councils built actionplans and local cadres implemented specific actions. All where kept informed through weekly communication and all had a part in the complete decision-making. Operating from an “on behalf of” story, common time designs and common training/experiences providing for a sense of oneness. Utilizing common methods for planning, action, team operations and Motivity resulting in easily replicable results. An open transparent communication and decision-making process resulting in a broad-based pool of honored experience and knowledge. A continuing development and of motivating stories, powerful symbols/rituals and the writing and singing of songs resulting in a renewed sense of commitment and sustaining people in expenditure. This GSM Collection has representative documents that allow for understanding the particulars of the points above. There are also videos, pictures and symbols that will give a historical picture of the Spirit Movement.